The first thing I think I should do is apologize to Diamond Dallas Page. Like most Yoga enthusiasts, before I had even given DDP Yoga a chance, I had written it off as a gimmick to sell Yoga to the "bro" crowd. On top of that, I was pretty vocal about it when it came to talking to my friends in the who were interested in yoga. Now, having given DDP Yoga a fair go for about a week, I can honestly say that not only is this not a gimmick, but its actually a legitimate style of Yoga all unto itself. What is DDP Yoga Like and Who would like it? The closest thing I can think to compare DDP to would be an intense Power Vinyasa class. This style of yoga appeals to a certain kind of yogi or yogini, usually the more dynamic (Yang) style and less deeply pensive (Yin) style. For those of us into fluid yet powerful transitions from position to position, DDP has a lot to offer. On the other hand, for the Yin Yoga enthusiast who prefers long times holding each position and getting deep into the stretch, this may not be style for you. DDP Yoga is very much into the "bro" aesthetic: At times it can be testosterone heavy to the point where I was confused if I was doing Yoga or MMA training. Finally, as I suspected and the main reason I initially avoided it: There is a wrestler screaming at you from time to time during the your movements. His name is Diamond Dallas Page... and he means business. First, let's start with the positive things about this Yoga system. You get a very intense workout: There are very few instances where poses are held for an extended time. He emphasizes the cardio aspect to the extent that he recommends a heart rate monitor during the practice. You develop lean muscle: There is also a bit of emphasis on dynamic resistance and muscle building. You increase flexibility, stamina, and balance: Like most Yogic practices, this DVD goes a long way to increase all of these things by building heat in the body and working vigorously. If your goal for your yoga practice is to be in good physical shape without having to go to the gym, then this may just be the practice for you. This is a very Yang style of yoga that does not focus much on meditation or how to connect breath with movement. But, DDP does do a good job of creating heat in the body. 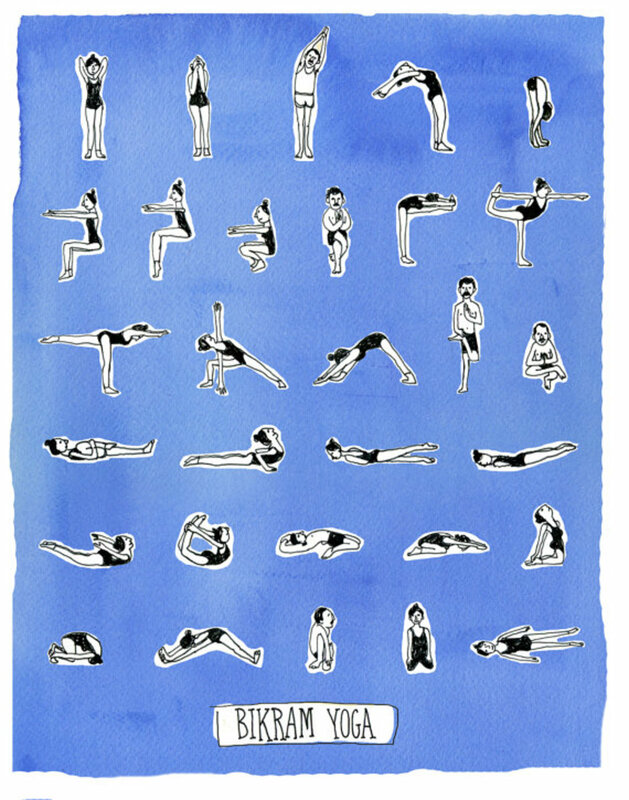 What kind of Yoga practice do you enjoy? What kind of practice do you prefer? To answer Brie below, I am also over fifty and waaaay over 100 pounds overweight (try 200). I saw the Disabled Veteran video a couple of years ago and found out that DDP was going to be in Vegas for a wrestling convention and was going to do a DDP yoga information session. Decided to drive up and check it out. There were about 50 of us, both newbies and experienced as well as his assistants. He talked about the program for about 15 minutes, and then it was like “All right, everyone up, LET’S GO!” I was like whaaaa um I’ve never done yoga in my life! They had good thick mats and sturdy chairs for larger people like me, I was helped INSTANTLY by one of his assistants anytime I needed to modify a pose (against a wall instead of on the ground which would have been difficult). I made it through a nonstop 45 minute session and ended with the “hey I did it” kind of exhaustion. At the end he talked to every single one of us individually as we said goodbye. I didn’t touch it again more than a couple times the next year until one day in a hotel traveling I popped a knee ligament (it caught on an arthritic spur in my knee) and I couldn’t bend my leg. I remembered a pose we did, did it, and hand to God my ligament snapped back into place with no pain and it took care of the problem! I have never been interested in yoga before because it seems very elitist and “are you wearing the right Lululemon/do you have the latest gear” etc and that’s a real turnoff for me. This was real, this was real people encouraging everyone (one lady across the room said she had been watching me even during the most difficult parts for me, and commented “You didn’t quit!”, that was really inspiring). I’m a DDP fan and if other people get mental peace from ‘regular’ yoga that’s great but I think this is more ‘real’ for me. Oh and as a woman I did not feel intimidated in ANY way, this isn’t ‘bro’ yoga. There were an equal number of us there. And now he has a new program specifically for very reconditioned/overweight, mobility or physically challenged. This is the one for me. I've been using this program for 4 weeks and I will say my back, neck and shoulder feel better than they have in years. I was going to the chiropractor every week and I have not gone back since I started. I will say I don't believe he yells nor do I feel this appeals to "bro" I mean many of the ddp team in the videos are mothers. If you want a good low impact workout that builds strength and flexibility this is it. But don't let the low impact fool you you will sweat and be challenged it's only low impact on your joints and that is a good thing. For anybody out there that has any insight on this, how is DDP Yoga compared to the P90X yoga workouts? I've done the original P90X Yoga workout and the X2 workouts and I'm curious how DDP's workout is compared to those. I just started DDP Yoga a couple weeks ago and I absolutely love it! I've tried more traditional yoga in the past and never really liked it. But DDP Yoga is really fun and I feel like I'm getting a great workout. I used this program for about 3 months pretty religiously because I have an annular tear and bulging discs. The next step for me is surgery (fusion) so I wanted to at least give this a shot. Unfortunately, this did not offer any pain relief or surgery alternative :(. After several months of 3 to 4 times a week using this program I found no pain relief and have given up hope. Let me caveat with the fact that this is a fun workout to do, while it is not the most professionally made lol, it is way better to sit through in my opinion. I think it was a pretty good workout and an interesting concept and does strengthen core muscles. But if anyone is seeking help or pain relief for an annular tear, I hope you have better luck than I did, and would still say it is worth a try, but it didn't work for me. I still don't regret buying it though. I agree with Nunboi, I'm a Christian so I've never done Yoga because of the religious aspect which is why I'm drawn to DDP Yoga. I've done yoga classes is the past and just started DDP Yoga. As someone that went to school as a Religious Studies Major, I find most yoga classes to be insufferable. Faux- Hinduist speak with a focus on meditation is not my happy place. Instead, for years my happy place was under the weight of a flat bench. DDP Yoga appeals to me for these exact reasons. No "nameste," just exercise. The constant movement + Heart monitor work hits the flat bench feeling. No yogi ever told me to do an isometric, twitch based movement. I'm pretty metro, but I'm a real guy when it comes to this work out. 5 stars. I have been practicing DDP yoga and it does cool your mind. People think mind can be calmed only in a yin style, but a good yang style yoga can be calming as well. Isn't it calming and spiritual when you are holding a pose and your mind is blank with all the breath work ? Also, DDp does instruct inhale and exhale when needed and the breath and movement in Itself is meditation. I have seen many other yoga teachers who do traditional yoga. DDP is a true yogi. Yoga goes beyond names, postures, yin yang etc. it is the heart that matters. And one like a DDP who has created this style of yoga out of need knows the matter of the heart. This work came out of need, to regain his health, not just to become another Yoga teacher on the block. I saw it on SharkTank as well and my husband and I are going to try it. Despite the reviews, my husband has never been interested in any type of workout until he saw DDP yoga. He had back surgery 10 years ago and he feels that this workout will help him. I will do it too because I like yoga but I don't have the extra money to pay for yoga classes. Plus I think in most of this places you need to have some experience in yoga which I don't. I saw this on Shark Tank last night. Is it something an over 50 overweight (like 100 pounds) woman could do? I saw the guy who had lost a lot of weight and he was inspiring. I'm just not sure if I could physically do it. I am a female and have been doing DDP for 17 weeks now and have lost a total of 22 lbs! This program works and works well. I can feel and see my body getting stronger! I also agree with others that DDP isn't yelling at anyone on it he is encouraging everyone. It's a tough workout if you really engage but I love it, I am not sore like with weights and the low impact is great on my knees as well. Hubby and I are on the last workout of week 11 (beginner). We have turned friends onto it because just like DDP says, you make the workout your own. They love it as well and are seeing results too. "The names of the movements are conspicuously changed to fit an American Pop-Cultural aesthetic (Warrior has become Road Warrior, Crow has become Black Crow)"
Nice review! Just thought I'd mention that the names of many of the moves in DDP Yoga are professional wrestling references. The Road Warriors, Figure Four, Diamond Cutter, Black Crow, Pinfall etc are references to wrestlers or wrestling moves: fitting as DDP is a former wrestler! Just thought I'd mention that as I felt it was an unfair criticism. I enjoyed the review and agree with it with some exceptions. I'm a woman who has been practicing yoga for over 10 years. The atmosphere in a lot of yoga studios and in yoga DVDs can be pretty insufferable--elitist and really off-putting to men (or any woman who isn't a 25 year old ballet dancer). This keeps regular guys (or "bros" as they are rather condescendingly called in the article) from getting the benefits of yoga because they think they won't fit in. Also, a lot of people, men and women alike, have no interest in the spiritual aspects of yoga and want a workout. I see nothing wrong with this. DDP Yoga is a good yoga-as-workout system, IMO. I think it would have wide appeal to regular men and women who want to lose weight and achieve strength, balance, and flexibility. I don't have weight to lose, but I enjoy yoga-as-workout practices. DDP Yoga has a good mix of yoga, calisthenics, and physical therapy exercises, and it also elevates your heart rate. There are several different workouts to choose from and I enjoy all of them. A big thing about this set that I really like is that I can always keep good form--these are not rapid-fire vinyasa practices. DDP is a big, energetic guy with a loud voice. I do not think he is screaming at his audience. I like his high energy and enthusiasm, and he is darn good at yoga. I've been doing this set exclusively 5-6 days a week since I got it a few weeks ago. I am seeing definite strength gains (I already have good balance and flexibility). The longest workout in the program clocks in at about 65 minutes (Double Black Diamond); the shortest is about 10 minutes (Wake Up). The workouts average around 30-40 minutes. This program is sustainable over the long term because it requires no equipment and the time commitment is do-able. There are men and women of varying ages, weights, and ability in the workouts, which I like a lot--it's like a real class, with real people, not professional yoga instructors or fitness models. It's been the best fitness purchase I have made this year, hands down. Thanks for adding this post and your apology. There are far too many wanna-be Yoga experts out there who are more concerned with proving themselves right than even giving DDP's program a try or recognizing it's benefits. What good is all that peaceful connection if you can't see the beauty of everything? Hypocritical, but you get that everywhere. DDP yoga is AMAZING. I was getting recurring sciatic nerve blow outs due to spending 14 hours in front of my computer each day and not moving nearly enough. After 2 weeks of doing this my pain was completely gone and I was playing full blow tennis for 3 hours a few times per week. This program is the fountain of youth IMO. I was in the gym lifting weights my entire life always wanting to have muscles and look great. When you hit 40 you start to realize how ridiculous that is and it all becomes about flexibility and FEELING great. I was always a guy who liked going to the gym and hitting the weights to get as big and bad as I possibly could. As I am starting to get older (I am only 26) I have found the gym to become less and less enjoyable and my body has been feeling things that I never felt before. I tried the "Crossfit Craze" for a little and found it to make my body feel even worse (especially when I took some time off over a week and got right back into it). I still love doing Squats and Deadlifts with weight, but have been looking into ways to maintain lean body mass, with less stress. I have never tried Yoga before and I am a huge wrestling fan and came across DDP's Yoga. I saw how it was working wonders with Jake the Snake and Scott Hall and then came across the amazing video "Never.GIve.Up." I could not believe how Arthur overcame his so called limitations and is where he is now. I became an instant believer. I became the biggest believer when I started using DDP's Yoga. I could not believe how hard it was! The sweat and burn and intensity my body felt was more than any workout I have ever done before. More importantly I already started feeling differences in my body. I need to correct my body posture, while also maintaining lean body mass. DDP explained this numerous times to me that this is what it would do. DDP does not yell, does not scream, he just loves life and loves changing people. His tone and voice motivate you to work, but also has the calmness that makes you feel at home. Thank you so much DDP for this and I am a believer! I will continue using this for many days to come and hope to see (and post) my results! I just wanted to say thanks so much for the awesome humble apology... Very F'n Kool! I really loved your honest open review. At no time on the DVDs does Page scream at at the viewer. If he raises his voice at all it's with enthusiasm to cheer you on. He's extremely careful to remind you to modify the position as you feel necessary, and telling you "it takes time, but you'll get there." During one session he tells the viewer it took him seven years to do one position. For anyone wondering if this program is worth getting, it is! You will get out of it what you put into it. I wasn't into exercise, let alone wanting to get in touch with my inner ohm, self, light, etc. People might dig that, and it's cool to, but I don't. DDP's style was straight forward, cool, in your face, but still humble. It really connected exercise that was fun and exciting to a healthy lifestyle that made sense for a regular person. I have been doing DDP Yoga since March 2012. Not a lot of weightloss, but ince I can't jog, or do any other high impact exercise, it has been a fit for me. Unlike many, I did not come across Diamond Dallas Page via the Arthur Boorman video. I found DDP Yoga watching Enlighten Up! on Netflix one afternoon. Truly, if it weren't for Diamond Dallas Page, I would never have done yoga of anytype. I tell everyone to try DDP YOGA and so far several family members are also doing it too!!! I came from Bryan Kest power yoga, and found DDP to be much more up my alley. I love both programs, but this is my go to for getting right down to brass tack fitness. Been doing #DDPYoga for just under 2 months now. I'm down 20 lbs, feel healthier than I have in 20 yrs and eating 1000x healthier than I used to. Being a long distance trucker has always been hard when it came to eating properly, getting proper exercise but thanks to Dallas and DDPYoga, this workout/lifestyle that he's provided me with, allows me to not only eat healthier but workout daily right within the confined spaces of the truck's sleeper. I'm OwningMyHealth but I owe Dallas my health's thanks! It seems DDP had to style this yoga a certain way to connect to the people he wanted it to reach, ie not yo mamas yoga and the changing of some of the names to stuff that resembles pro wrestling. Before I started yoga I was totally ignorant of what is actually done, I thought it was a lot of sitting about stretching and not much of a workout. The not yo mamas yoga bit appealed to me, that and it was with DDP and I have been doing it for a while now and it has opened up other avenues into different styles of yoga I wouldn't have bothered with, pre DDP. Yeah, it's actually a pretty good system. I was pleasantly surprised! I have been using the program for just over five weeks. I love it. 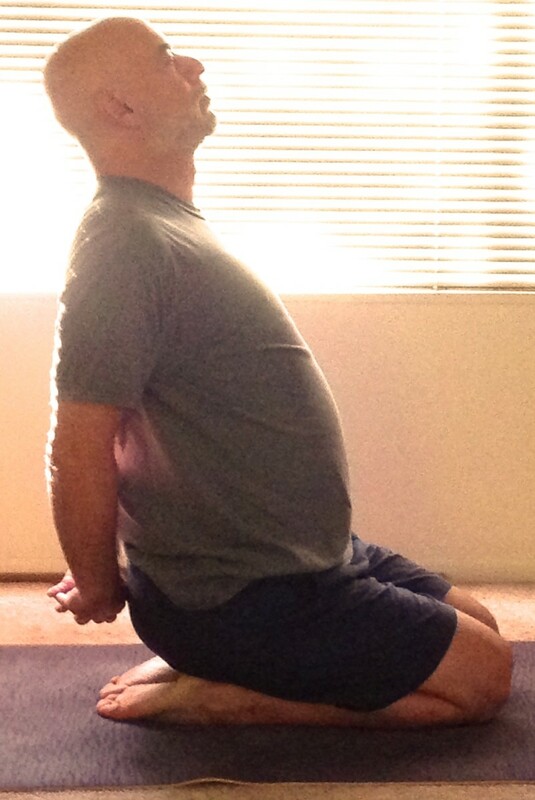 No it is not "traditional" yoga, but it is great for us average guys and gals.